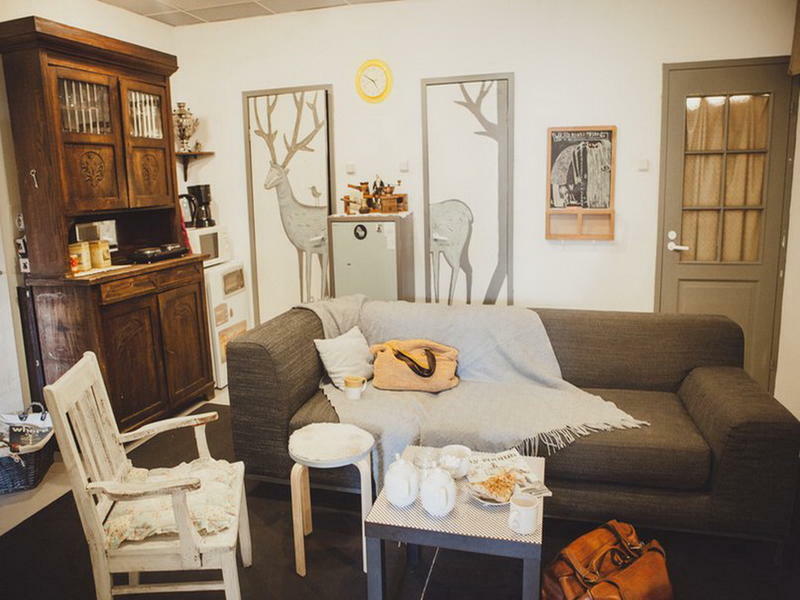 Tabouret Rooms is a fashionable hostel opened in May, 2011. 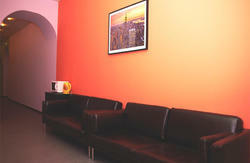 We are located in the centre of Saint-Petersburg and just a 10 min. walk from the largest railway station Moskovsky. In its three rooms and can accomodate up to 16 guests. Tabouret is only in 5-7 min. 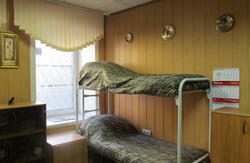 walking distance from the central underground stations 'Mayakovskaya' and 'Ploschad Vosstaniya' and 5 min. from the main Petersburg's avenue called Nevsky, where all the tourist's routes begin. In our small living room we regularly hosts exhibitions of unusual and interesting photographers, artists and designers. Cancellation Policy: 2 days; late cancellations and no shows will be charged the amount of the first night. To find us turn left from the exit of the central St.-Petersburg's railway station Moskovsky and cross the Ligovsky prospekt. Than move to the right and cross the central street of Petersburg Nevsky prospekt. Now make left turn and follow about 300 meters to the crosswalk with the traffic lights. Without crossing the street move right. Now you're on the Mayakovskogo street where Tabouret Rooms is located. Just go straight ahead and in about half a kilometer you'll find ul.Mayakovskogo, 17. Push the button with the title Tabouret Rooms on the entrance door which is to the left side from the gate and here you are!